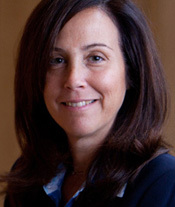 Dr. Donna M. Rapaccioli is Dean of the Gabelli School of Business at Fordham University, where she holds the rank of University Professor. 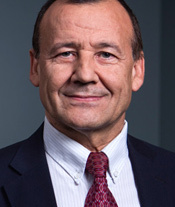 As an administrator, Dean Rapaccioli has earned a reputation for creating academic programs that emphasize applied learning, a global perspective, interdisciplinary thinking, and strong ties with industry. Her philosophy centers on business with purpose, grounded in the Jesuit-influenced principle that commerce should advance society in a greater way. Dean Rapaccioli’s research interests lie in the area of earnings management and international accounting; she has published articles in academic journals and practitioner outlets and is the co-author of two book chapters. In her role as professor, Dean Rapaccioli was selected by students to receive the outstanding teacher award. She has consulted for and lectured on accounting and finance topics at numerous financial institutions in New York City and serves as a director on the board of GE Asset Management Mutual Funds. 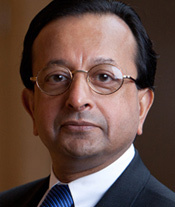 Sris Chatterjee holds the Gabelli Chair in Global Security Analysis in Gabelli School of Business, where he is a full professor in the finance and business economics area. Nusret Cakici is a professor of finance at the Gabelli School of Business. He previously taught at Arizona State University and at the City College and Graduate Center of the City University of New York. He was a visiting professor of finance at Columbia Business School during the 2005-2006 year and has taught at Rutgers University and at Odense University, Denmark. 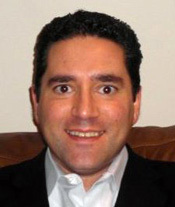 Mario DiFiore is an assistant dean at the Gabelli School of Business and an adjunct professor. Dean DiFiore teaches Behavioral Finance in the value-investing program and has also taught business courses at New York University, Pace University, the State University of New York and Baruch College of the City University of New York. In addition, he teaches compliance and risk management for Euromoney’s financial training division. Prior to joining Fordham, Dean DiFiore had an established career on Wall Street and at the Federal Reserve. 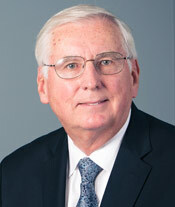 He holds a bachelor’s degree from Fordham College and an MBA from the Gabelli School of Business. Michael A. Gatto is a partner at Silver Point Capital, an $8.5 billion hedge fund that specializes in distress-debt investing. An adjunct professor at Fordham University’s Gabelli School of Business, he teaches a course on fixed income and special-situation investing. After joining Silver Point in 2002, he became its first non-founding partner in 2003. Today, he is the head of the firm’s restructuring group where he oversees a team responsible for driving and negotiating in- and out-of-court corporate restructurings. He also oversees the C&I business, which purchases distressed loans backed by hard real-estate assets. 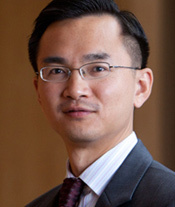 He is a senior member of the flagship fund’s credit committee. 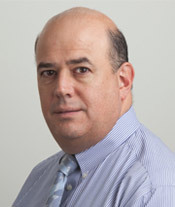 Earlier in his career, Mr. Gatto was a senior member of Goldman Sachs’ special situations investing business. He also designed and delivered credit-training programs for loan officers of North American and European financial institutions and served as director of global training at Citibank. 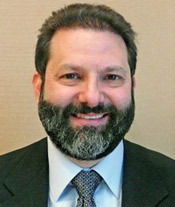 Mr. Gatto earned a bachelor’s degree in economics at Cornell University and holds an MBA from Columbia Business School. He is a CFA Charterholder and has served on several corporate boards, including Specialty Retailer, Party City and the Macau gaming company New Coati Investments. Jonathan Brolin is an adjunct professor at the Gabelli School of Business where he teaches Advanced Topics in Value Investing, which focuses on the Gabelli Private Market Value with a catalyst methodology and other valuation frameworks. Mr. Brolin received a bachelor’s degree in economics from the University of Pennsylvania and holds an MBA from Columbia Business School. He is the founder and managing partner of Edenbrook Capital, which manages a value-investing hedge fund.